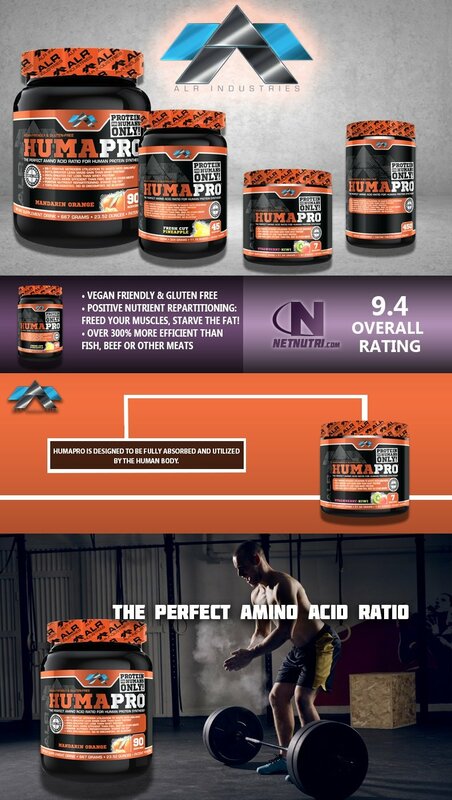 Humapro is the perfect amino acid matrix for humans. Humapro Protein in Powder or Tablets is equivalent to 25gm of whey protein with less than 1 calorie per serving. Humapro is 100% vegetable origin enzyme assimilated and purified without any synthetic ingredients, reagents or harmful chemicals. Humapro contains NO Lactose, Gluten, Soy, Sugar or Preservatives. Who Can Benefit From Humapro? Any HUMAN who wants the highest bioavailable, lowest waste protein matrix specially formulated for the HUMAN body. It is for those who want a Vegan-friendly protein supplement. To help support the increase of lean muscle mass and lose unwanted body fat. It is for any endurance, performance or strength athlete that needs support for lean muscle health. Do I need to take BCAA powder or BCAA Pills? BCAA or branched amino acids are included in the group known as "Essential Amino Acids". This means that you can not synthesize or make them within your body, they MUST be consumed and included in your dietary intake. Humapro contains Lucine, Isolicine, and Valine in designed dosages to meet your BCAA requirments. You do not need a BCAA protein mix, its included at no additional charge! Should I take Humapro Powder or Humapro Pills? This product is unlike other high protein pills. It has been carefully manufactured to the highest standards, and its designed to feed your muscles when they need it most, before, during and after training. Humapro Powder comes in many delicious flavors that can be taken quickly at these times. Humapro Pills are convenient tablets that require no mixing and are great for on the go. Whether you choose pills or powder, you will get the same high-quality dosage of Ajinomoto USA amino acids and predigested protein powder in each serving. It is the perfect Ajinomoto Amino Acid matrix (100% vegetable origin enzyme assimilated and purified without any synthetic ingredients, reagents or harmful chemicals) for human protein synthesis. Its produced in a cGMP certified facility utilizing only pharmaceutical grade Ajinomoto® amino acids and ingredients. It DOES NOT CONTAIN ANY: Dairy or Animal Products, Soy, Sodium, Gluten, Sugars or Preservatives. It is Super Concentrated: 1 serving equals a Whole Food Protein Equivalent of 25g averaged, with only 0.02 calories per serving! 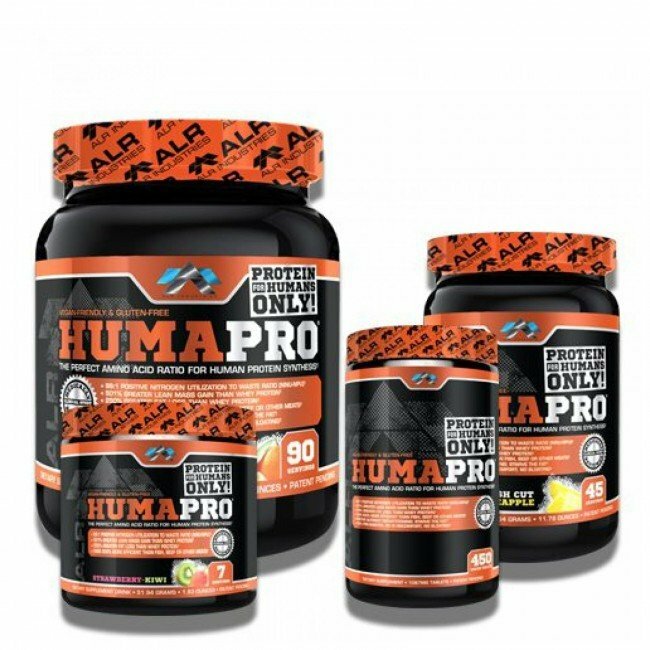 1 serving of Huma Pro: 0.02 Calories, 25g Protein, 0g Carbs & 0g Fats. THE super concentrated protein matrix! What's in Your Protein Supplement? Protein Drinks Have Unhealthy Metals and raise Human Health Concerns of Lead, Mercury, Cadmium and Arsenic. All contain additional calories while many contain lactose, added sugar, and other impurities. What if you found out that you were wasting 84% of the money you were spending every month and only seeing return on 16%? That is exactly what you are doing when you spend money on Whey protein. Scientific studies have shown that when you drink whey protein, your body expels 84% of it as a waste by-product or converts it to blood sugar. Fortunately, there is a better option. In a medically reviewed clinical study, it outperformed whey protein by 501% with 83% less toxic waste. ALR Industries has raised the bar by creating superior health and results in formulations for the absolute best results. They have built a reputation for producing an entire arsenal of game-changing nutritional supplements, yet nothing they have done has hit the mark with more accuracy. In fact, we have introduced a whole new product category in the protein supplement market, as no others can even compare. Everyone wants to get the best results, not only from their training but their nutrition as well. When it comes to losing body fat and gaining muscle, one of the key components must be proper diet. That is is where Protein becomes one of the most critical factors in your overall health & fitness regimen. Imagine when you consume a supplement that provides 99% absorption and has virtually no waste by-product and that what get with Humapro. It also supports nutrient repartitioning so that the food you do consume is better utilized to starve the body fat cells and not only repair but build new build lean muscle. Moreover what you are consuming has only 0.004 calories per gram / 0.02 calories per serving and that the utilization equivalent of 5 grams, is the same as 25g of Whole Food Protein. It sounds hard to believe yet years of research and clinical trials have proven its absorption and effectiveness over all other forms of protein (whole food proteins and other protein supplements alike). I know all of this may be hard to accept after years of marketing hype, but no one questions whether or not a Corvette will out-perform a Hyundai. Why is it so hard to believe a concentrated protein matrix can out-perform a bulk protein? These statements have not been evaluated by the FDA.This product is not intended to diagnose,treat, cure or prevent any disease.